Netflix and BBC are partnering to stage a small screen revival of Watership Down, an adaptation of Richard Adams’ cherished children’s novel that first hit book shelves in 1972. Pitched as a four-part miniseries, both Netflix and the BBC have already enlisted a star-studded ensemble to voice many of the lead characters of Adams’ beloved tale, including Star Wars: The Force Awakens breakout John Boyega (Bigwig), James McAvoy, Nicholas Hoult, Ben Kingsley and Gemma Arterton. 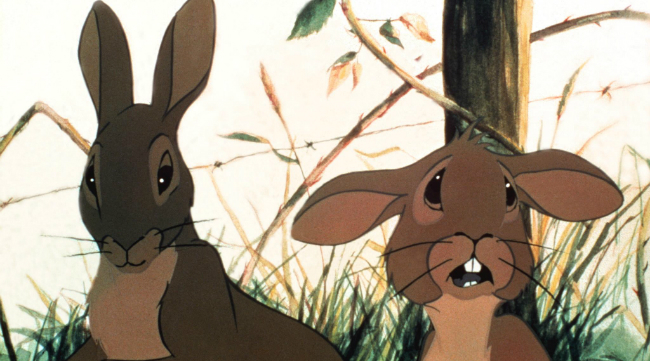 Indeed, Watership Down has made a beeline for screens before, when Martin Rosen wrote and directed a feature film back in 1978, before going on to produce an animated series towards the end of the 90s. This time around, it is Tom Bidwell (My Mad Fat Diary) who will pen the script for director Noam Murro, best known for 300: Rise Of The Empire. Expect Watership Down to premiere via BBC for those in the United Kingdom, while Netflix will host the miniseries for international viewers. Tell us, are you looking forward to an overhaul of Adams’ adventure classic? Let us know below.